Williams Lake, B.C. – Surinderpal Rathor has lived in Williams Lake since 1974 and the wildfires currently surrounding the Cariboo city are the worst he’s ever seen. He has 10 family members living in Williams Lake – including his wife, grand-kids and in-laws. His elderly mother has been sent to Prince George. 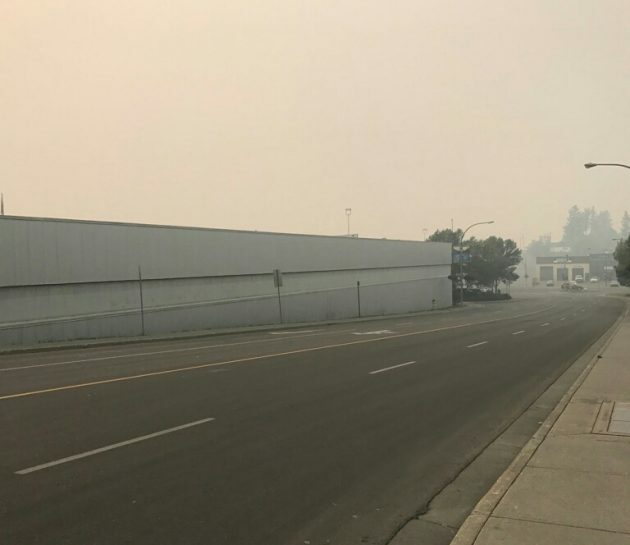 An electrician, his workplace – Tolko industries – has been shut down like all the mills in town and says there’s nothing to do now but wait for word of a possible evacuation order. “There’s a million things going through my mind but I’m scrambled, you know? It’s hard to concentrate. What do you take with you when you leave? We are ready if we have to go,” he says. He says all the rumours that have been circulating on social media aren’t helping matters. 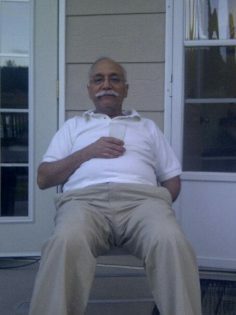 Rathor says he’s been coping by drinking lots of cold water and staying close to his family members. Perhaps he should have prayed to his god to prevent all of these fires. prayin’, sittin’, an’ waiten will do nothing. Get out of the chair and start preparing. Secure your most important documents, make arrangements for pets, critters and children. Fuel the vehcles, get extra just in case, gather food and water and secure in multple location. Contact neighbours, friend and family to get and give situation reports. There is so much to do other than wait for the A’torities to save you. Seriously people?!? Just because he mentioned he “praying to God” doesn’t mean he isn’t prepared or just passively waiting for God to save him! Have some compassion and empathy for the fact that under such a stressful situation a person does have difficulty thinking. Also, lets look at this again; no evacuation order has been given, just an alert. He has relocated his elderly mother. He is prepared and ready to go. He also have the wisdom to alert others that social media can be inaccurate. Your quick responses and judgment appear racist given the attacks on ‘his god’. Your story Loki is miss placed and ignorant. Where is this anger coming from towards this man? I don’t think the responses are racist, but I do think that perhaps they are overreacting and taking his statements way too literally, LOL. Sounds to me like he is just having a casual discussion on what his thoughts are, I don’t for a minute believe that he is actually pinning his hopes on his prayers being answered or that he is somehow not preparing because of his belief that God will save him. Geez people! “We’re hugging each other, praying to God for some relief, some rain. That’s all you can do.” Well said Mr. Rathor! And after the winds died down, the rains came and the town was spared, what will they say then? Put your faith in firefighters, and the red cross that helps out people that are affected. Not to mention the thousands of Canadians that donate time, money, and shelter. Oh and Becca, claiming any comment criticizing prayers is racist is just the laziest form of pandering.